This morning, Gov. Gary R. Herbert testified on H.R. 4532, a bill introduced by Utah’s newest congressional representative, Rep. John Curtis. Named the Shásh Jaa’ National Monument and Indian Creek National Monument Act, this bill aims to establish lasting legislative protections in the Bears Ears region. Although public lands in Utah have been a contentious topic, there are well-meaning people on both sides of the debate with strong feelings. The areas in question in San Juan County in Southeastern Utah are beautiful and majestic. They deserve protection. In his testimony, Gov. 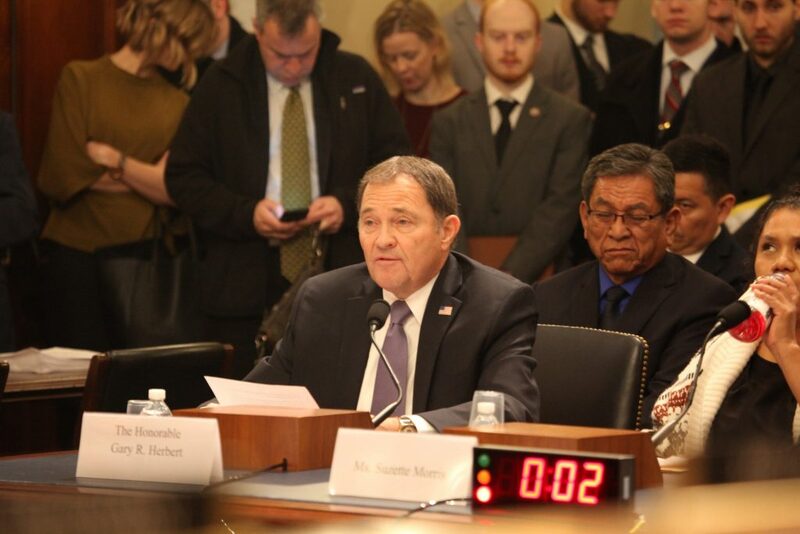 Herbert expressed his belief that all Utahns want to protect the antiquities in this area; the question is how best to provide this protection. Here are a few ways Rep. Curtis’s bill could help protect the antiquities in the Bears Ears area while also involving those people most impacted by land management decisions in the actual stewardship of these lands. This, of course, would include Native American tribes. Thomas Jefferson said that “the government closest to the people serves the people best.” That certainly applies to managing public lands. This legislation aims to accomplish this through an innovative use of management councils. These councils exemplify the concept of cooperative federalism, with seats mandated for federal, county, and tribal representatives who will work together to develop management plans for the monuments. In our experience, the looting and vandalism in the Bears Ears area is not from lack of legal protections, but from lack of law enforcement. Unlike the original monument designation that protected in name only, this bill provides for increased law enforcement. Rep. Curtis’s bill creates an Archaeological Resources Protection Unit for each monument and, additionally, mandates that at least 10 law enforcement personnel be assigned to each monument. Additionally, this bill precludes any type of mining or development of oil or gas within the boundaries of the 1.35 million acres of the original Bears Ears monument. This should put to rest any suspicion that the monument was reduced in order to advance energy development. 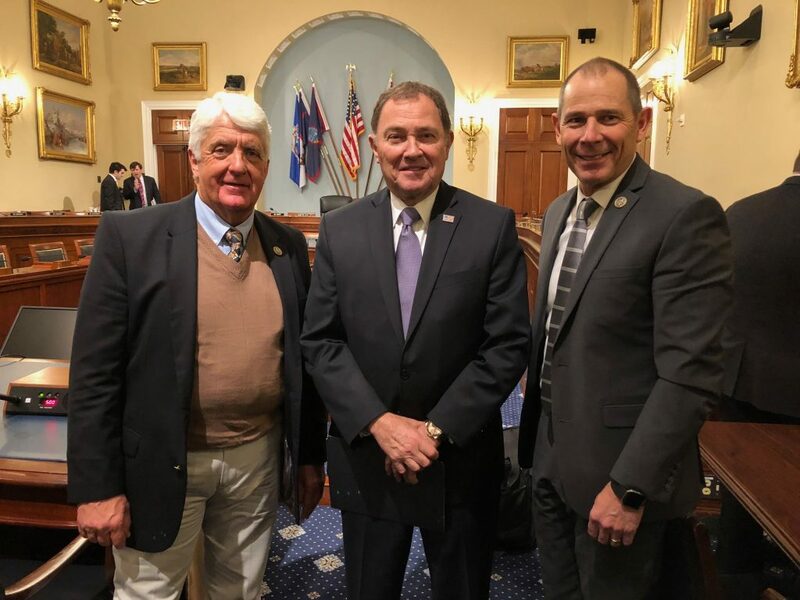 Finally, the bill gives Utah the ability to exchange state land within the monument boundaries for lands elsewhere of equal value. That’s an important opportunity to consolidate our lands and generate funds for Utah’s school children. We all want these lands to remain public, and we all want to protect their history, archaeology, and unique nature. We certainly all want our children and grandchildren to be able to enjoy them as we do. When we ascribe good motives to each other, we’ll be more likely to have a productive conversation and more likely to reach an optimal solution for the use of our public lands that everyone can live with.